Sinn Féin National Chairperson Declan Kearney (right) speaking on Question Time. 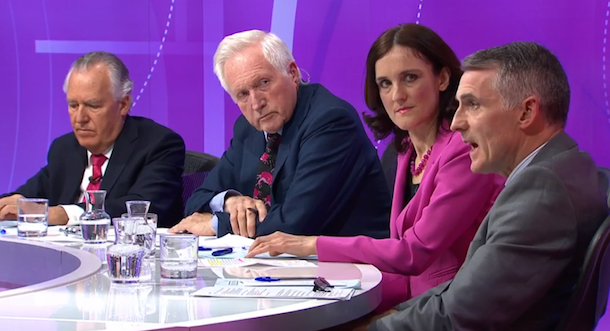 June 9, 2016 -- Links International Journal of Socialist Renewal reposted from Anphoblacht -- On BBC’s Question Time with David Dimbleby, I asked British Secretary of State Theresa Villiers directly whether she believed a Brexit was in the interests of people in the North – she didn't answer the question. I then asked her whether the British Government, in the event of a Brexit, would replace the European funding which would be lost to the North of Ireland as a consequence of withdrawal from the EU – she didn't answer that question either. The fact is that a Brexit is opposite to the interests of people in the Six Counties. June 9, 2016 -- Links International Journal of Socialist Renewal -- With the referendum on whether Britain should stay or leave the EU fast approaching, the debate over what position the left should take continues. Links is reposting a vidoe debate between Marina Prentoulis (Syriza UK) and Luke Cooper (Another Europe is Possible) (for in), and Hannah Sell (deputy general secretary, Socialist Party) and Michael Calderbank (Red Pepper) (for out), in a special episode of The Wedge, produced in collaboration with and published on Red Pepper. 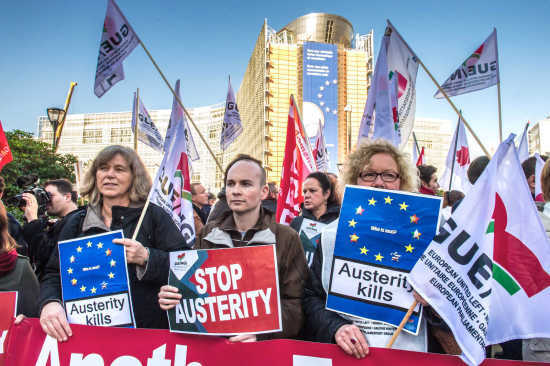 Below we also have an article by Terry Conway from Socialist Resistance outlining the different positions on the left, and an editorial from Morning Star on what the EU represents. May 27, 2016 -- Links International Journal of Socialist Renewal reposted from Transnational Institute -- Opponents of the Transatlantic Trade and Investment Partnership (TTIP) see their chances of victory increasing. Local authorities are now also increasingly taking a strong position against supranational structures that negotiate opaque trade deals. March 10, 2016 -- Links International Journal of Socialist Renewal -- Intervention by Jean-Luc Mélenchon, candidate for the Left Front in the 2012 French presidential elections, in the Internationalist Summit for a Plan B, held in Paris on January 23-24. Mélenchon has recently formed the “France in Revolt” (France Insoumise) movement, for which he aims to be candidate in the 2017 presidential elections. The European Left Parties Solidarity Conference With Kurdish People was held in the main Kurdish city of Amed on February 20. February 20, 2016 — Links International Journal of Socialist Renewal reposted from ANF News — The final declaration of the European Left Parties Solidarity Conference With Kurdish People in Amed has been released. The conference in the main Kurdish city Amed on 20 February was organised by HDP (Peoples' Democratic Party), DTK (Democratic Society Congress), DBP (Party of Democratic Regions) and KJA (Free Women's Congress). * We as Kurdish, Turkish and European left and democratic forces stand together in our fight for democracy, peace, diversity and social justice. * We are gathered here today to call on the Turkish Government to stop the massacres and killings of civilians in the besieged Kurdish cities. Civilian woman and children are the ones suffering the most from this brutal policy. We call on the Turkish government to stop the curfew and allow for access to the besieged cities. The grave violations of basic human rights must be stopped and an international commission must be set up in order to secure that the responsible for war crimes will be prosecuted. Workers' Party of Belgium leader: "We have to struggle to bring down this European Union and build another form of cooperation"
February 18, 2016 - Links International Journal of Socialist Renewal - On October 15 last year, Liam Flenady interviewed David Pestieau, Vice-President of the Workers' Party of Belgium (PTB) at their headquarters in Brussels. Unfortunately, due to unforeseen circumstance, Links International Journal of Socialist Renewalis only publishing this interview now but we believe it will be of great interest to our readers. Since the interview was conducted, a number of significant events have taken place in France and Belgium, including the Paris attacks on November 13 and the ensuing lock-down of the city of Brussels, as well as the banning of the Paris Climate March planned for November 29. These events have had a significant impact on the political situation in Belgium and Europe, and the Worker's Party has playing an important role in responding to them. While not covering this new situation, this interview still represents an important introduction to the politics of the PTB and their orientation towards significant issues in Belgian and European politics. Former Greek finance minister Yanis Varoufakis, who last September stepped down from his post in the radical-left Syriza government, has launched his Democracy in Europe movement, DiEM25. Its ambitious aim is a radical overhaul of Europe’s institutions and the introduction of absolute transparency in decision-making, to be completed by 2025. 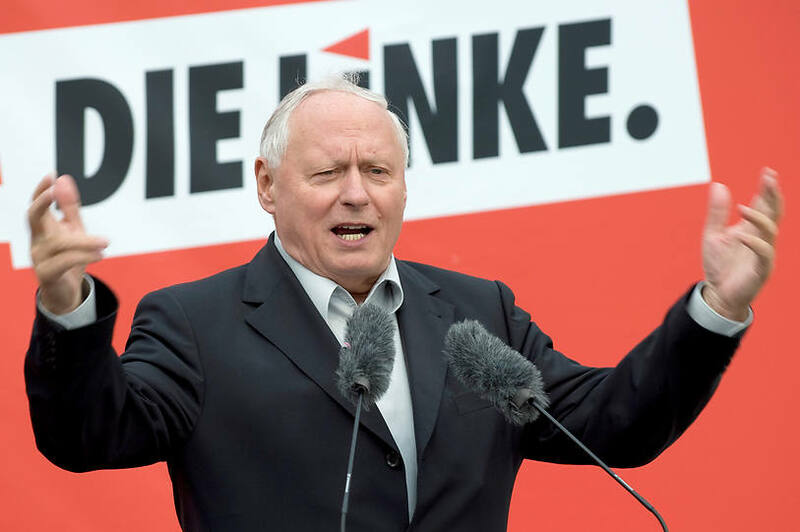 Links International Journal of Socialist Renewal is republishing here from Mediapart the manifesto Varoufakis presented in Berlin on February 9th, a plan to “regain control over our Europe from unaccountable ‘technocrats’ and shadowy institutions”. For all their concerns with global competitiveness, migration and terrorism, only one prospect truly terrifies the Powers of Europe: Democracy! They speak in democracy’s name but only to deny, exorcise and suppress it in practice. They seek to co-opt, evade, corrupt, mystify, usurp and manipulate democracy in order to break its energy and arrest its possibilities. January 23, 2016 -- thoughts for the post-2008 world -- Why did you resign the very next day after the ‘no’ victory in the Greek referendum? Yanis Varoufakis - Because the Prime Minister told me, on the night of that magnificent result, that it was time to surrender to the troika. Not what I had entered politics for and certainly not what the mandate that the 62% NO vote we had just received stipulated. They knew that I would never sign up to a new non-viable, toxic loan agreement. That was clear from the beginning. I was elected to negotiate a viable agreement. And since it is the finance minister who signs these agreements on behalf of the state, it was essential to the troika that I should be removed. Why do you think you are so uncomfortable (and considered even dangerous) for the EU leaders? Because I was an obstacle to the maintenance of their permanent denial regarding their failed fiscal reform programs. What has been your major mistake during the time you were Greece Finance Minister? Greek farmers protesting against planned pension system reforms. The left in government and especially the radical left in government has never been the subject of easy discussion among leftists. As the project of social transformation was never a peaceful stroll in the park, the debates on the question of in and/or out of government, let alone those about political power, have been very heated. In fact, it is hardly an exaggeration to say that these debates are as old as the left itself. Before, during, and after coming into office, leftist theorists and practitioners have been involved in fierce discussions and heated arguments, often leading to organizational splits and fragmentation. The intense polemical nature of these debates has very rarely led to useful, positive, and practical conclusions for the left. January 28th, 2016 -- Links International Journal of Socialist Renewal reposted from Red-Green Alliance (Enhedslisten) -- On Tuesday, January 26th, 2016, a broad majority in the Folketing (Danish parliament) passed bill L 87 which introduces a long series of restrictive measures aimed at making it less attractive to seek asylum in Denmark. Internationally the focus has been directed mainly at the part of the bill that authorizes the police to take jewellery, cash and other valuables from asylum seekers in order to finance the cost of their stay in Denmark during asylum procedures. The Red-Green Alliance (Enhedslisten), which holds 14 of the 179 seats in the Folketing, is against this part of the bill but does not consider it the most problematic part. In practice it will hardly have any affect, as most asylum seekers arrive without significant valuables. Furthermore the new law excludes jewellery with an emotional value to the asylum seeker. And each asylum seeker (including children) gets to keep the equivalent of DKK 10.000 (EUR 1.340) in cash in those rare cases when asylum seekers arrive with appreciable amounts of money. 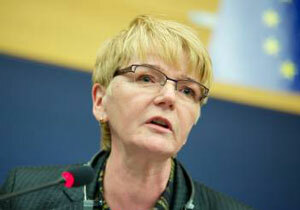 Plan B for Europe - Appeal to build a European area of work in order to end austerity and build a true democracy. 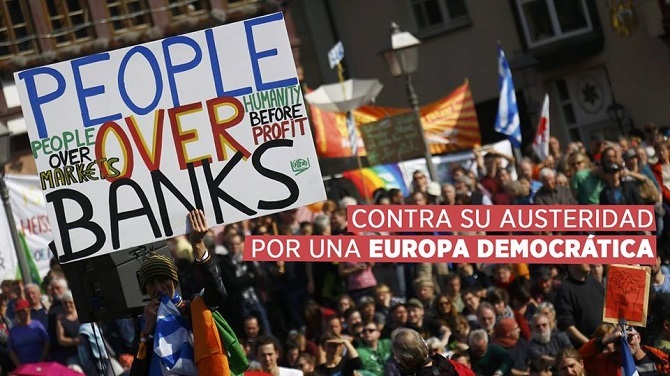 January 19, 2016 - Links International Journal of Socialist Renewal reposted from Plan B Europa - In July 2015, we witnessed a financial coup d’état carried out by the European Union and its institutions against the Greek Government, condemning the Greek population to continue suffering the austerity policies that had been rejected on two occasions in the polls. This coup has intensified the debate over the power of the EU, and by extension it’s institutions, its incompatibility with democracy, and its role as guarantor of the basic human rights demanded by European citizens. We know that there are alternatives to austerity. Manifestos such as “For a Plan B in Europe“, “Austerexit” or DiEM25 (Democracy in Europe Movement 2025) denounce the blackmail of the third memorandum of understanding imposed against Greece, the catastrophe that it would cause and the antidemocratic nature of the EU. The President of the European Commission no less, Jean -Claude Juncker, said : ” There can be no democratic decision against European treaties “. Oskar Lafontaine: Let’s develop a Plan B for Europe! Many in Europe had put great hopes in the election of Alexis Tsipras as Greek Prime Minister. When, after long and exhausting negotiations, the Syriza leader signed the European diktat, the disappointment was great. It would be unjust and presumptuous to want to give moral lessons to Alexis Tsipras and Syriza. After these experiences for the European left, it would be better to reflect on the conditions in which a democratic and social politics (and thus a left politics) is possible in Europe. We have learned one thing: while the European Central Bank, which claims to be independent and apolitical, can turn off the financial tap to a left government, a politics that is oriented towards democratic and social principles is impossible. For more on Greece's struggle against austerity, click HERE. Links International Journal of Socialist Renewal – This speech was delivered on August 23, 2015, by former Greek finance minister Yanis Varoufakis, at the Festival of the Rose, at Frangy-en-Bresse, in the French department of Saône-et-Loire. The festival is organised by the local organisation of the French Socialist Party, which is associated with former French industry minister Arnaud Montebourg. Montebourg was sacked from this post in August 2014 by French Prime Minister Manuel Valls. A spectre is haunting Europe — the spectre of democracy. All the powers of old Europe have entered into a holy alliance to exorcise this spectre: The state-sponsored bankers and the Eurogroup, the Troika and Dr Schäuble, Spain’s heirs of Franco’s political legacy and the Social Democratic Party (SPD) of Germany's Berlin leadership, Baltic governments that subjected their populations to terrible, unnecessary recession and Greece’s resurgent oligarchy. August 24, 2015 -- Scottish Left Project, posted at Links International Journal of Socialist Renewal -- We are pleased to announce the name under which the new coalition of the left being launched on August 29 will stand. Our name -- RISE, Scotland's Left Alliance -- reflects our political outlook and organisational make-up. Respect: We stand for a society where we end racism, sexism, discrimination on the grounds of sexuality and where people of all backgrounds, colours and creeds are treated with respect and dignity. Independence: We stand for Independence for Scotland. But our Independence is based on ending neoliberalism, austerity and the membership of NATO. We are for ending the monarchy and putting people in charge. Socialism: We are for a social alternative to capitalism where people run the affairs of our society democratically and where the vast resources of society are utilised in common, rather than for the super-rich. 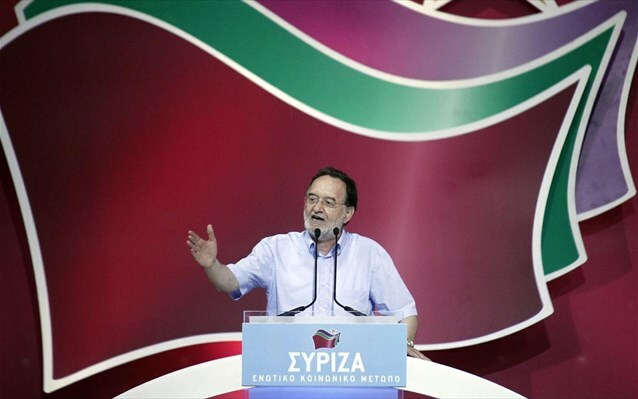 Grecia, ruptura en Syriza: ¡Nace 'Unidad Popular'! 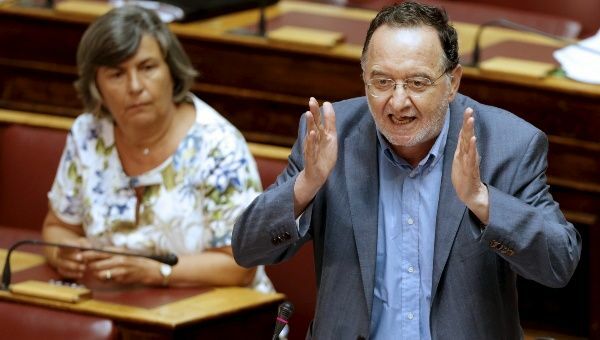 21 de agosto de 2015 -- Viento Sur -- Esta mañana, a primera hora, 25 diputados de Syriza abandonaron el grupo parlamentario del partido para crear una nueva formación bajo el nombre de "Unidad Popular". La mayor parte de estos diputados están afiliados a la Plataforma de Izquierdas, pero se han unido también otros como Vangelis Diamantopoulos o Rachel Makri, una estrecha colaboradora de Zoe Konstantopoulou. August 21, 2015 -- First appeared on Kouvelakis' Facebook page, reposted at Links International Journal of Socialist Renewal -- Early this morning, 25 SYRIZA MPs left the parliamentary group of the party to create a new group, under the name of “Popular Unity” (Laiki Enotita in Greek). Most of these MPs are affiliated to the Left Platform, but some others also joined like Vangelis Diamantopoulos or Rachel Makri, a close collaborator of Zoe Kostantopoulou. Three elements need to be emphasised. Panagiotis Lafazanis, leader of the Left Platform. See also "Greece: New radical left front to challenge SYRIZA in snap election"
August 21, 2015 – Links International Journal of Socialist Renewal -- By any normal logic Greece’s SYRIZA-led government should be sinking in the opinion polls. On July 12, at the Brussels summit of Eurozone leaders, it agreed to implement a set of draconian preconditions for obtaining a third €86 billion bail-out—effectively reversing the opposition to austerity on which it had been elected on January 25. Legislation enabling the implementation of the memorandum, covering 35 “prior actions” required of the government, was adopted by the Greek parliament on August 14, with 64 MPs voting against. Of SYRIZA’s 149 MPs, 32 voted no to the deal—including Left Platform leader Panagiotis Lafazanis, parliament speaker Zoe Constantopoulou and former finance minister YanisVaroufakis—and 11 abstained, with one MP absent. August 13, 2015 -- Links International Journal of Socialist Renewal, also posted at LeftStreamed -- In this video of a debate, Leo Panitch and Richard Fidler discuss alternate views on recent developments in the fight against austerity waged by SYRIZA and the Greek people. Moderated by Susan Spronk, associate professor in the School of International Development and Global Studies at the University of Ottawa.